Because of the high amount of shaders (2x800) the gaming performance of the Mobility Radeon HD 4870 X2 is very good and allows the gaming of all DirectX 9 games in high resolutions and details. Even demanding DirectX 10 games of 2008 (i.e., Crysis Warhead and Far Cry 2) can be played with high details. The GPU supports fast GDDR5 graphics RAM, but all laptops as of this writing are built with slower GDDR3 graphics memory (Alienware M17x, Asus). The 4870 X2 also suffers from micro stuttering most noticeable around 30 fps, similar to all SLI and Crossfire setups. This occurs if both cards are in Alternate Frame Rendering (AFR) Mode since the time delay to display each sequential frame becomes irregular. See our dedicated micro stuttering article here for more information. The Mobility HD 4870 x2 is based on two RV770 chips and features 2x800 stream processors (2x160 5-dimensional shader cores). These cores do the graphics work of the shader and pixel pipelines of older GPUs. The stream processors are also called ALUs and are grouped in five-way VLIW units. Each of the five instructions of a VLIW bundle has to be independent from the others and the performance therefore depends on the optimization of the driver. The Mobility Radeon HD 4870 X2 includes Avivo HD, an onboard soundchip for 7.1 sound output over HDMI or DisplayPort and the 2nd generation UVD (Unified Video Decoder). UVD 2 supports full bitstream decoding of H.264/MPEG-4 AVC and VC-1 streams, dual video stream decoding and Picture-in Picture mode which makes the UVD full BD-Live compliant. To put simply, the Avivo HD technology handles all video tasks and enables the GPU to decode HD videos. AMD published a power consumption of about 2x65 Watt for the HD 4870 X2. Still, it is unclear if this value represents the chip alone or the whole MXM board including the memory, which we estimate would add about 2x5 Watts. 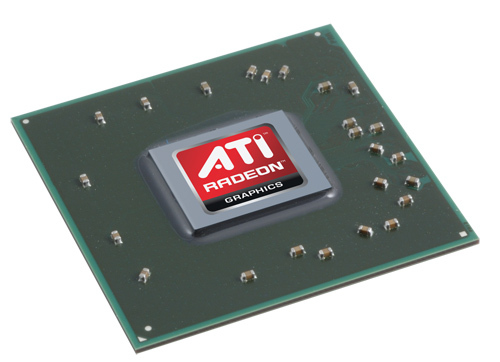 Compared to the desktop ATI Radeon HD 4870 X2, the mobile 4870 X2 features a slower core clock and should therefore perform a bit slower than even the desktop HD 4850 X2.